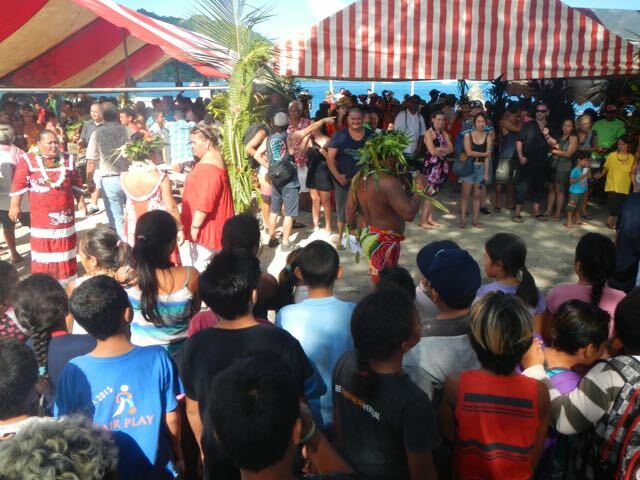 The annual Vanilla Festival was held on Thursday in Fare. 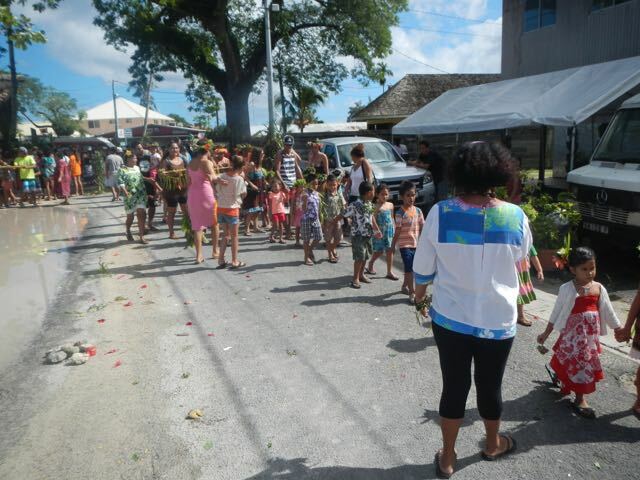 It was fun to see the various activites that had been planned, and all of the residents dressed in traditional costume. There was a lot of traditional food to be had, but we chose to forego it. 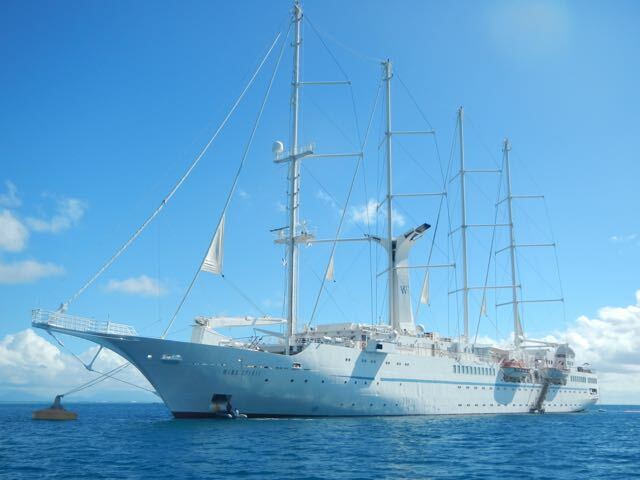 The passengers of that huge non-sailing tour ship with the big sails seemed to enjoy it. 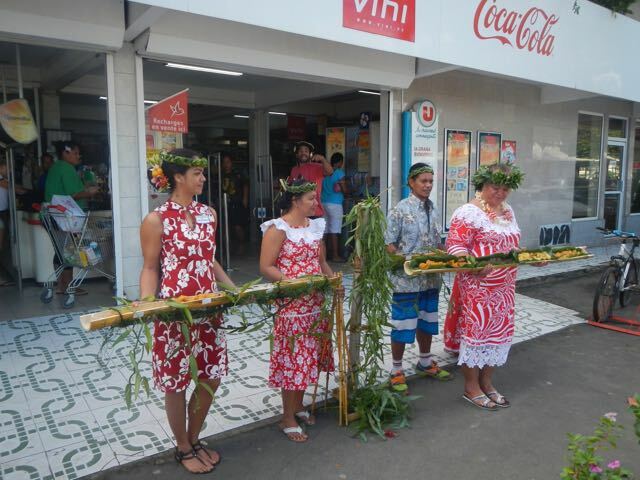 The Vanilla Festival in full swing with residents in traditional garb filling the street. 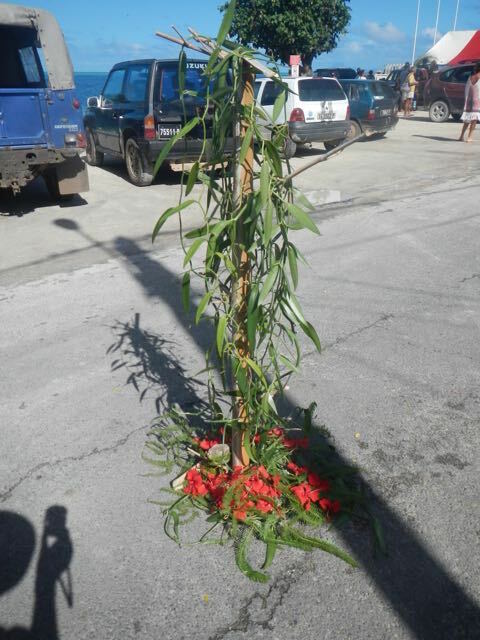 A vanilla plant decorsates a street marker at the festival. 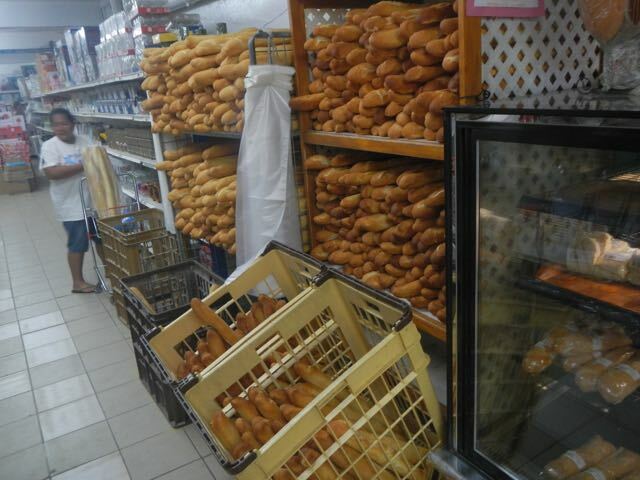 Yes, the store had reserves of baguettes! I've never seen so many! 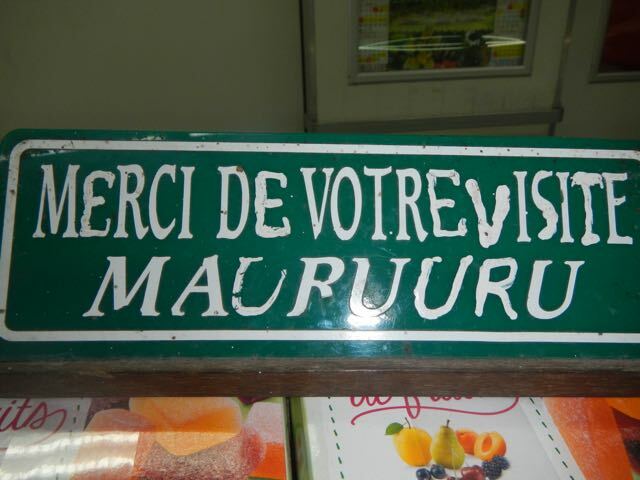 A hand-painted sign reads, "Thank you for your visit", then adds the Tahitian for "thank you": "mauruuru". 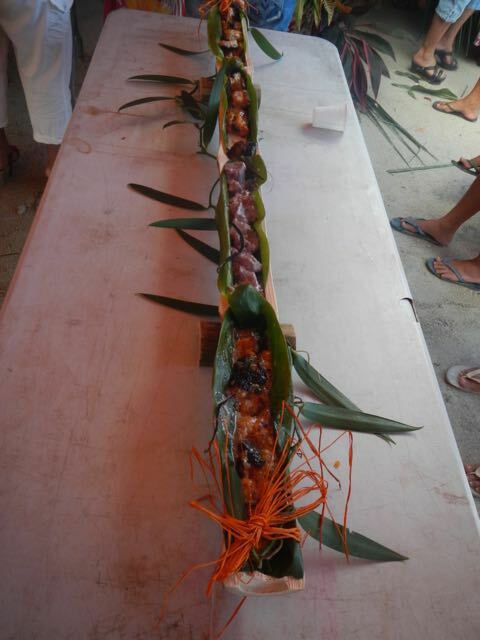 Food was served in the individual compartments of split bamboo stems. Here, the kids get into the act in traditional dress. This is a closer view of the food serving method. 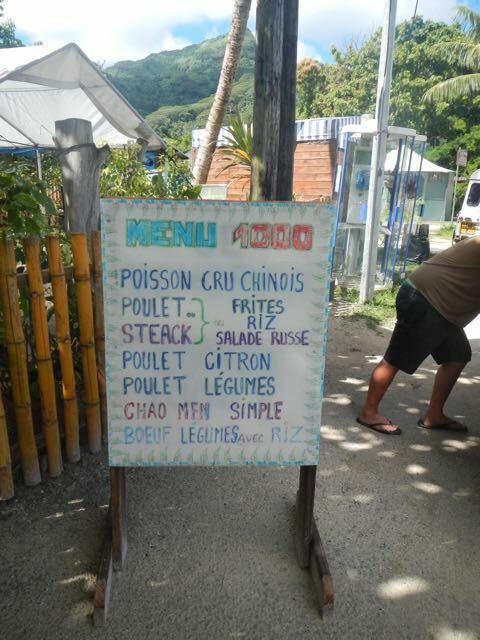 We enjoyed lunch at this Roulotte, a favorite in Fare. 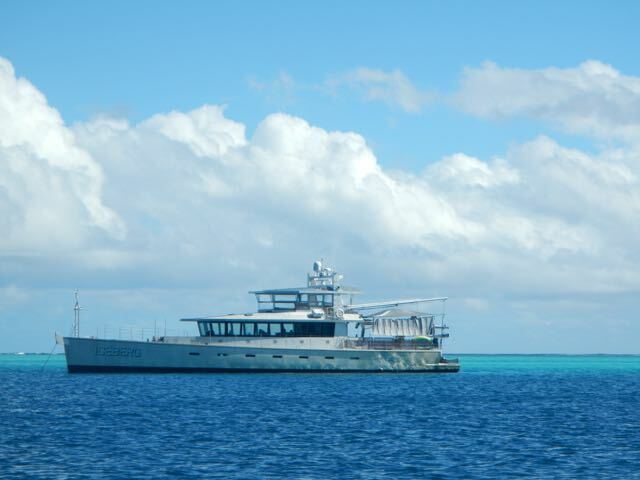 Silly boat, silly idea, very expensive. The sails are deployed with great fanfare as the boat leaves, then re-furled and the vessel motors out. The MV Iceberg is one of the strangest vessels we've ever seen. She's made of aluminum, has solar panels on her roof, and is simply an odd design bereft of traditional styling. 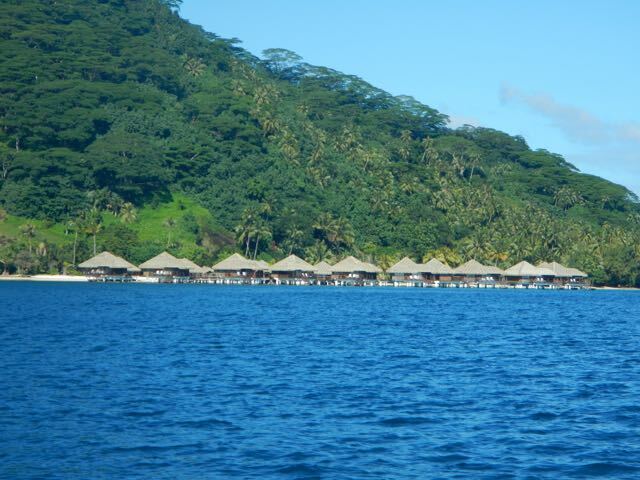 As we motor down the channel toward Bourayne, we passed these "bungalow over the water" resorts. Well, here she is. The wreck, not there more than three days at this point, sits forlornly, witness to the end of another dream. 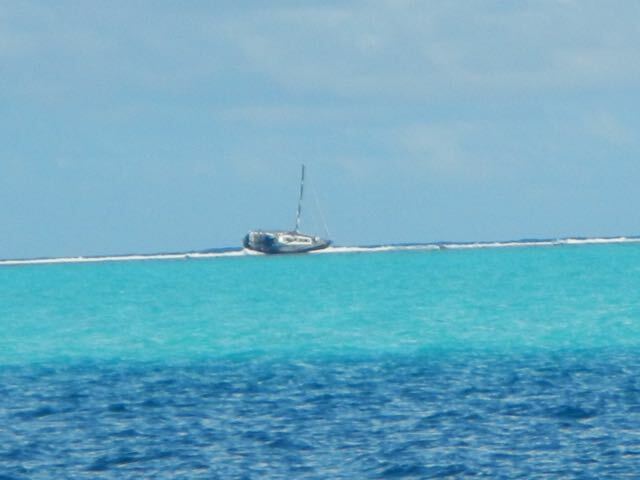 No sails out, so she was motoring when she hit. Triple spreaders so she's a big boat. There's no sign of salvage. We wish you well, voyagers. Conni glassing the shoreline, Bourayne Bay.